The all-new RAM 2500 is one of the most capable and dependable trucks ever made. Let Palestine Chrysler Dodge Jeep RAM FIAT show you how the RAM 2500 can handle your toughest jobs. If you need a truck that can keep up with all you do and has room left over when you want to play, there is only one solution for you. The RAM 2500 was built to last. It is capable enough to handle your day-to-day routine, tough enough for a big job, and has room left over for the weekend. Come see the RAM 2500 at Palestine Chrysler Dodge Jeep RAM FIAT today. What do you need to get done today? Do you work on a ranch and you need to be able to haul feed out to the steers or haul hay in from the field? Do you need to take tools and work materials to the construction site? Maybe you need a truck that can tow your horses so you can show them competitively. It doesn’t matter what job you need to have done because the RAM 2500 has the power to handle it. In fact, it can tow up to 17,980 pounds without flinching when properly equipped. That means you can do all of the above, then take the fifth-wheel camping, haul the boat to the lake to fish, take the jet skis out and more all with ease. You don’t have to choose between work and play when you choose the RAM 2500. Let us show you the RAM 2500 at Palestine Chrysler Dodge Jeep RAM FIAT and take a test drive. We know that towing and hauling is important to you because you need a truck to handle your daily tasks. What most people don’t think of when it comes to a truck is the technology within. Sure it is important to be able to tow/haul, but it’s time to think outside the box when it comes to technology. The RAM 2500 gives you a smarter way to roll. Think of it as your command center on wheels. The Uconnect 8.4-inch touchscreen color display puts everything you need at the tips of your fingers with just a touch of a button. Make hands-free phone calls before you arrive at the job to see if you need to stop for extra supplies. Listen to your favorite tunes on the SiriusXM Satellite Radio for hours of entertainment. When you arrive to work, use the Wi-Fi Hotspot to send an updated proposal to the client and stay ahead of the curve. Our tech experts are standing by to show you these features and more at Palestine Chrysler Dodge Jeep RAM FIAT. After a long day at work, typically outside, the last thing you want is to sit in a rigid vehicle that doesn’t support you. The RAM 2500 has your back, literally, because it is filled with items that offer you comfort as well as convenience. After a cold day outside, jump into your RAM 2500 and feel the comfort of the leather seats that surround you like a pillow for the ultimate in comfort. Then turn on the heated seats and heated steering wheel to quickly warm you to the core. Adjust your seat using the 10-way power adjustable buttons and find the most comfortable position for your drive ahead. When it is warm outside, simply turn on the ventilated seat feature and cool off quickly instead. The RAM 2500 truly puts your comfort first and we can’t wait to show it to you at Palestine Chrysler Dodge Jeep RAM FIAT today. 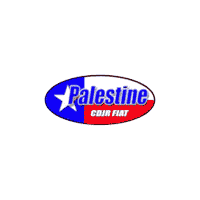 Palestine Chrysler Dodge Jeep RAM FIAT is your destination for the RAM 2500 truck as well as the entire RAM lineup of vehicles. We are proud to offer you a great selection to choose from in a variety of colors, options, and models so you can find the one that best meets your needs without breaking your budget. If you aren’t sure which one is right for you, let our truck experts assist you in assessing your needs. They have the knowledge to answer your questions as well as put you in the right direction when it comes to picking your truck. Get started today by checking out our inventory, then come down and take a test drive.